Le Turet - a hike for everybody! 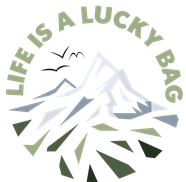 - Life is a lucky bag! Le Turet - a hike for everybody! 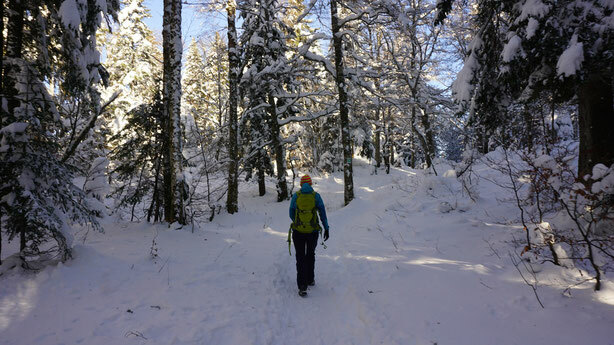 The hike towards the viewing point Le Turet in the French Jura Mountains is suitable for every hiker - may it be a first-time-outdoor amateur or an experienced hiker who only wants to go for a hort walk. "Le Turet" is suitable for all of you and perfect if you want to go together! The hike is located in the French Jura Mountains, the closest village is the french village Gex. The trail is very easy with nearly no ascent and descent. No snowshoes required. 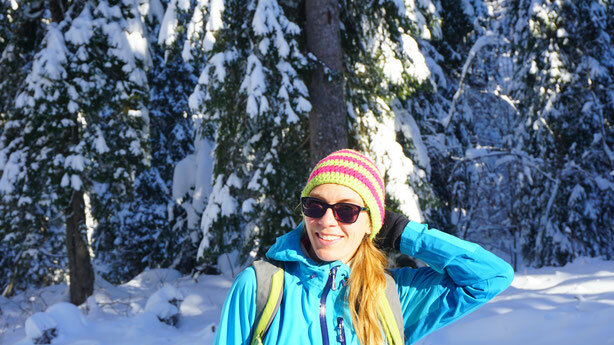 I would recommend to bring the typical equipment for a winter hike: headband/beanie, warm gloves, hiking sticks (can be really useful! ), warm clothes, first-aid-kit etc. This trail starts and ends at Col de la Faucille, where you also find a little restaurant, so you don't necessary need to bring your picnic, but at the viewing point you'll find a bench. The view is stunning, so make sure you'll have time for a rest here! This is a all-year-hike, but it's also one of my favourite winter walks if I have guests coming over. My family for example is not too much in hiking and sports, but they still enjoy a little walk and a good view every now and then. That's why Le Turet is always on my hiking list for those occasions. The trail is perfectly marked. Leave your car on the parking of Col de la Faucille and turn away from the ski area of the Monts Jura. Cross the street and on your right you will see a little path leading up into the forest. Follow this path uphill (great views on your right) and you will come deeeper into the forest. The trail leads slightly up and down, but never strenuous towards a broad forest road. Follow this road for a couple of meters. Now you'll have the choice: either keep following the road (less scenic, but super easy, a tin little bit longer) or keep left on the path uphill through the forest (more beautiful, shorter, a bit steeper). Soon these two paths will meet again and after a curve you'll come to another crossroads. Turn right (slightl downhill) and follow along the trail. This section of the trail is a gentle up and down and you will soon arrive at a scenic viewing point with a little summit cross. To enjoy an even better view: keep following the path downwards and you'll find Le Turet and the little bench after a few hundred meters, hidden behind some bushes! WIth a bit of luck you'll be able to enjoy a fantastic panorama of the alps, including the Mont Blanc, the Dents du Midi and even the Swiss Alps of the Valais! After a refreshing picnic you can walk back towards Col de la Faucille on the same trail. Don't forget to go back to the ski area to enjoy a hot drink, a crêpe or some french fries!